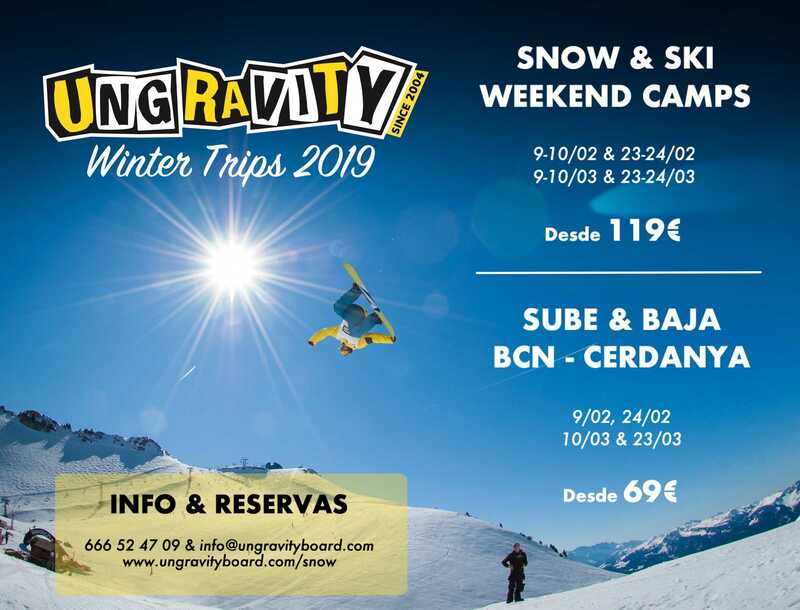 Snow is arriving already friends and it is an ideal moment to announce our WINTER TRIPS 2019 where the snow daily trips from Barcelona to the Cerdanya as our Camps (all inclusive stages) and weekend courses. · Pack of minors: 1PC + 2 ski passes + 6h class (3h / day) + accompaniment the rest of the day: € 189. · Pack age: 1 night accommodation + 2 ski passes + 6h class (3h / day): € 169. · Extra transport from BCN-Cerdanya and trips in La Cerdanya: € 40. · Only course 6h (3h / day): € 79. => DAILY SNOW TRIPS WITH TRANSPORT + FORFAIT to Porté Puymorens and option of classes will be the following days: 9/02, 24/02, 10/03 and 23/03. · Price for transport + ski pass: € 69. · Price for transport + ski pass + 3h class in group + accompaniment the rest of the day (minors): € 99. · Rental of material not included: between € 15-20 depending on the category. · Trip plan: departure by bus or minibus from Barcelona (Sants Station) at 6.00 to Porté Puymorens, from 10.00 to 13.00 and around 4.00 pm we leave Porté to return to Barcelona. If you have any questions you can do it by sending an email to info@ungravityboard.com, calling or sending a whatsapp to 666 52 47 09 or entering www.ungravityboard.com/snow.